The weather is becoming crisp and cool. Winter prep is almost finished, with just a few little jobs still unfinished. We were able to cut and bale our pasture and a neighbors. Nathan found a good deal on a square baler which opens up lots of opportunities to procure hay. 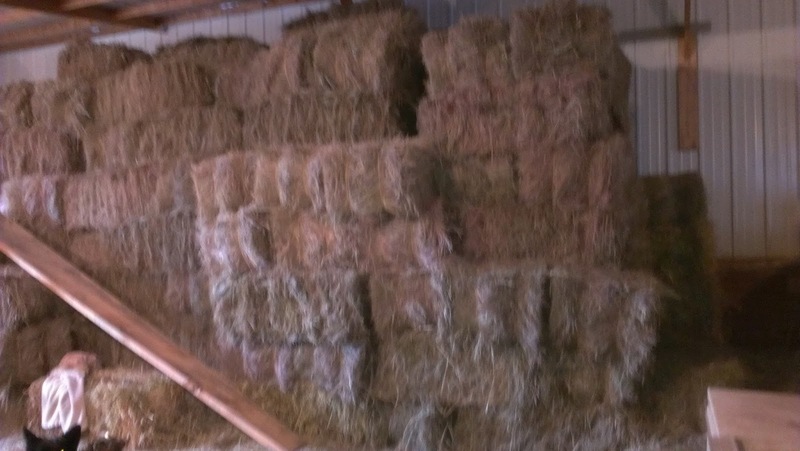 Between the two properties we got a total of 170 square bales, not counting the ones that the neighbors kept. The people we bought small round bales from previously called us offering the same price as last year. 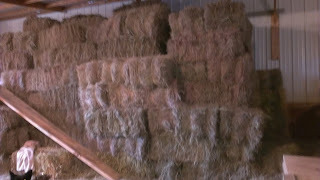 It was a good price and they have good, clean hay, so we brought home 20 round bales from them too. For two small cows, we are definitely set. Because we are able to store all the hay either in the barn or under the lean-to, leftovers should still be good for next year. 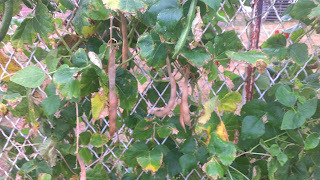 The garden is still going. 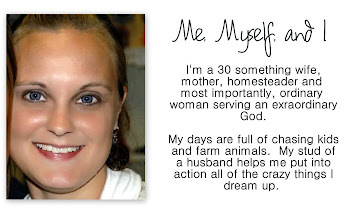 I'm done however, and have let the chickens take over. I didn't can as much as previous years. This was my most productive garden ever, but time just got in the way. Almost everything was put in the freezer with exception of about 20 pints of beans. I couldn't have asked for a better growing season. Lots of rain up til mid July, hardly any bugs or pests, and we still haven't had a frost! I'm still waiting on these scarlet runner beans to completely dry to be used in soups and for next years seed. 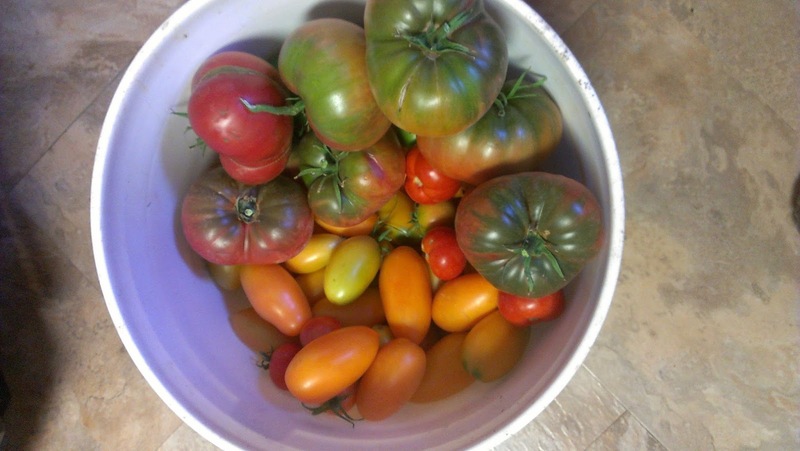 My last 5 gallon bucket of tomatoes before I gave the garden over to the chickens. 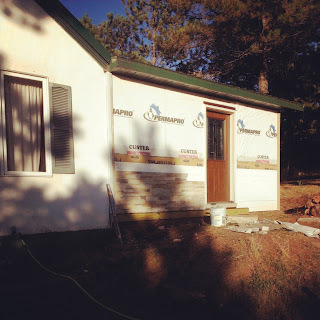 We are also (finally) putting siding up on the new addition. More on that soon..